IS WEEKEND BINGING DESTROYING YOUR WEIGHT LOSS PROGRESS? 🔹Does my diet offer flexibility? Let’s say Mr Smith maintains his weight on 2300 calories, and sets a 500-calorie daily deficit to lose weight. As you can see, they could be on point the entire week, then Mr Smith turns into the weekend warrior and completely offsets his hard work by 2 and a half days of splurging! You cannot out train a bad diet, you can easily undo the hard work you have put in during the week by having ‘a few drinks’ and a takeaway etc. 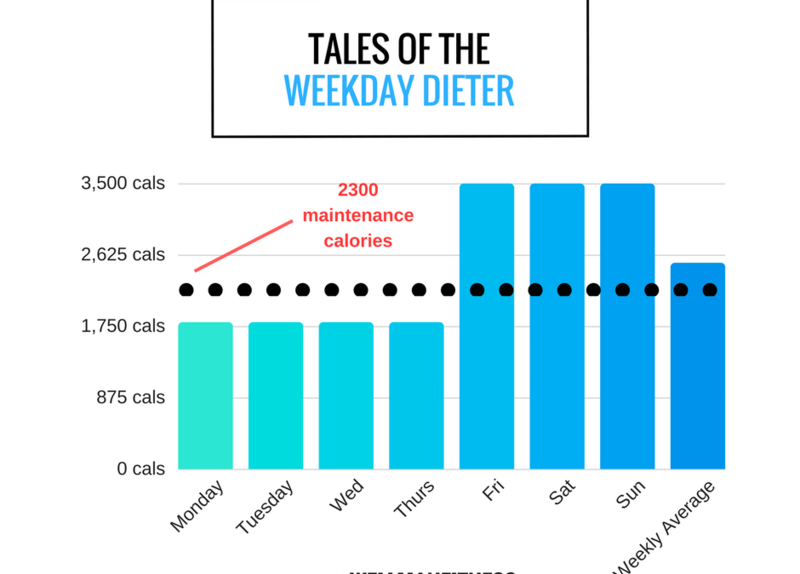 You have worked so hard during the week to create a significant deficit so why undo the hard work at the weekends and reverse the hard earned calorie deficit into a calorie surplus? There is a way to allow for extra calories at the weekend which i will go into next week. Be mindful of what you eat at the weekends, eat/drink in moderation and create flexibility during the week so you don’t feel the need to splurge at the weekends.